What makes the Blues BBQ Habanero Reserve different, is that it’s made with Red Savina® Habanero Peppers. So it’s a dark red color. Unusual for a habby sauce I think. Typically, habanero sauces are made with the familiar yellow or orange habanero peppers we’ve all seen or scotch bonnets, along with some citrus like orange juice or a fruit like pineapple or mango. Almost always in a vinegar base, these bright yellow or orange sauces can be quite hot. Even SEARINGLY hot! But Blue’s Habanero Reserve sauce won’t HURT you. It’s a smoother, milder habanero sauce probably because of it’s other ingredients. Although I’ve not been a huge fan of habanero sauces in the past, I think manufacturers are getting better at putting more sophisticated blends on the market. It’s not just habaneros in vinegar and citrus any longer. Blues BBQ Habanero Reserve Is a Great First Sauce for anyone wanting to try a habanero sauce. It’s not too hot, but will definitely make your head sweat! It’s thick, rich and very flavorful. You know you’re eating a really good hot sauce with this stuff. Put it on anything you want to kick up – the usual tacos, burritos etc, but it would also make a great base for hot wings. Something I definitely want to try! 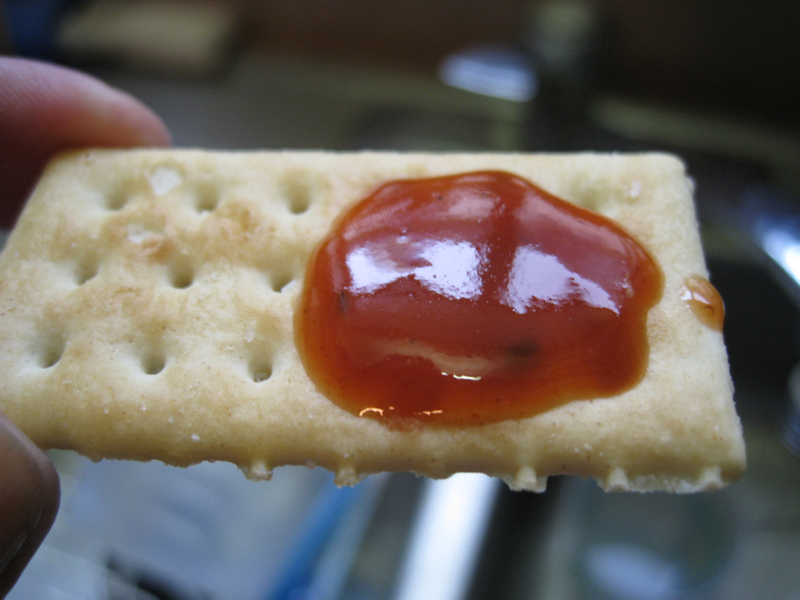 This sauce is an award winner, “Voted Best in North Carolina” by Critics and People’s Choice in 2007. 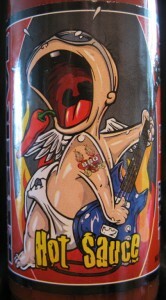 Visit BluesBBQ.net to buy Blues BBQ Habanero Reserve Hot Sauce, as well as their excellent Carolina Pepper Sauce. The guys at the NewsBBQ Podcast, asked me to write a habanero hot sauce review for them, and this is the review I sent them via audio. This sauce is so much like a bbq sauce. It truly isn’t hot, but it is tasty for sure! And, as a bonus, Steve (the guy who makes it) is a real stand up individual!